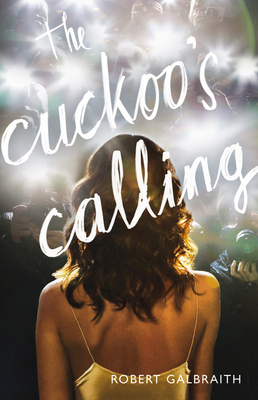 Review of Robert Galbraith’s (JK Rowling’s) Cuckoo’s Calling: Cormoran Strike Detective Series. CONTEST ALERT: FANS OF JK ROWLING/ ROBERT GALBRAITH: CHECK OUT THE FOLLOWING LINK FOR CRUCIAL GIVEAWAY/CONTEST DETAILS!! I’m striving to keep reviews now under 500 words, please comment below on whether you like this shorter, though equally effective new review format. The mystery genre can be an exceedingly difficult genre to get right. Some mystery novels tend to be too focused on the exacting details of the crime, witnesses, various probable suspects, detail-oriented hypothetical, to the point where the reader feels the methodology of crime-solving tends towards distracting from the plot, rather than adding any intrigue or interest to it. And ironically, this is when the very mystery is taken out, as too much arid detail just makes it all evaporate. In JK Rowling/Robert Galbraith (we’ll use the pseudonym for review purposes) first whodunit mystery novel, JK Rowling may have wisely selected to write under a pseudonym to deflect any of the criticisms that will contain the following: “In comparison with Harry Potter..” Being an entirely different genre of fiction, the book’s merits must be evaluated not just on how well it succeeds in that genre, but also as a standalone book that also sets up a series with some slight continuity. As a whole, this book succeeds, for the most part, in being a terribly engaging, intelligent, probing detective novel that sometimes struggles with being too heavy on methodology, and sometimes too anemic/formulaic with characterizations. Cormoran Strike is the lead detective, and he seems to have all the predictable detective trappings, from being reclusive, slightly impoverished, and seemingly aloof of his social/romance life (though totally fixated on the crime). The dynamic he has with his more socially- adept assistant, Robin, who temps for him throughout the story, is one of mutually conducive opposites, in that she’s more disposed to excelling in social situations, therefore that is where she lends a hand in helping organize interviews with witnesses and suspects, by pretending she’s different people. And Cormoran Strike, being more logical-minded, is ruthless with his interrogations, and suceeds best with pinpointing holes in different ongoing theories he as throughout the rapidly-paced story. For the most part, JK Rowling does a fantastic job for the most part, keeping these characters engaging and dynamic, though they could easily becoming mystery-novel archetypes/caricatures. JK Rowling,though, best succeeds with providing probing commentary, alongside a complicated mystery, as well as drawing out eccentric/almost Dickensenian details of the characters we confront in these stories. Her clever, idiosyncratic character portraits alone make this book worth the effort, along with her disturbingly plausible commentary on the underlying darkness and vacuous nature of the celebrity world, and the world of the excessively rich. From someone’s noticeably strange teeth acting as a sign of their darker personality, to slight, unconscious mannerisms being habitual signs of someone’s insecurities, JK Rowling really uses the character embellishments that she utilized so well in the Harry Potter series to make the detective novel’s element of dissecting a person’s physiology and subtle characteristics, for benefit of solving the mystery, feel natural, and not artificial at any point. Excelling in being Dickensenian and traditional, while providing smart commentary on the illusory/hollow nature of profit and excess of the celebrity/sensational mass media structure, Cuckoo’s Calling is an excellent foray, for JK Rowling, into the world of crime writing, and the book is one marked with beautiful, subtle, expressive writing, that sometimes gets bogged down in moments of some formulaic elements. Being a first novel, though, it still succeeds on the basis of establishing a new canon of characters, who I look forward to seeing being involved in even more complex mysteries beyond this first, somewhat less interesting one. With Career of Evil being released this Tuesday, the wait isn’t too long for the third entry in what is bound to be a cerebral, well-written mystery series that has the capacity of being as popular as Harry Potter, if more people gave this series a chance.